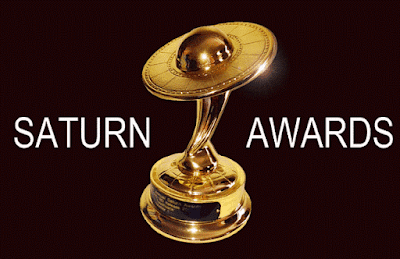 The Saturn Awards honours films and television series by the Academy of Science Fiction, Fantasy and Horror Films. Now in it's 42nd year and this year looks like it could be a bumper year for Mad Max, Star Wars The Force Awakens and the excellent Walking Dead TV show. The Force Awakens is way out in front with 15 nominations followed by Mad Max and Crimson Peak both with nine. Jurassic World hasn't done too badly either bringing in seven nominations, the same number as AMC's The Walking Dead. Bridge of Spies is in the mix too with best Thriller and of course John Williams for Star Wars The Force Awakens in the best score category.